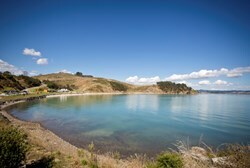 Te Ara Moana means ‘the sea-going pathway’. It is a self-guided five-day sea kayak tour along about 51km of Auckland’s picturesque southeastern coastline. It connects five of Auckland’s regional parks. Te Ara Moana is one of many routes used by Māori to travel between settlements, carry goods for trade and to gather food. To this day the iwi of Tāmaki Makaurau maintain strong ties with the Hauraki Gulf, Tikapa Moana (Firth of Thames) and Te Ara Moana. Get full details on the tour and book your campsites on the Auckland Council website or download the Te Ara Moana brochure. If you are not very experienced or a bit cautious, you may like to do parts of the trail first as training for the whole journey. Book your campsite and plan your journey before you set out and don’t forget to tell someone your plans. Always paddle with a companion or in a group. Improve or refresh your skills with a Coastguard boating education course. Get further safety information on the Auckland Council website.